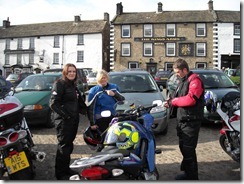 Myself and Helen went on a rideout with Nukb to Reeth toady. CJ led the rideout with Scotsy doing Tec. We met John and Sue in Heywood and then headed up to Clitheroe services via Sabden to meet the rest of the guys for about 10:00am. Everyone arrived and we set off up the A65 towards Skipton. 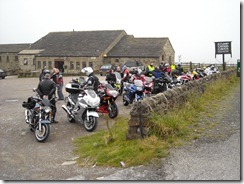 We then turned towards Grassington and then proceeded over to Stump Cross Caverns for a brew. 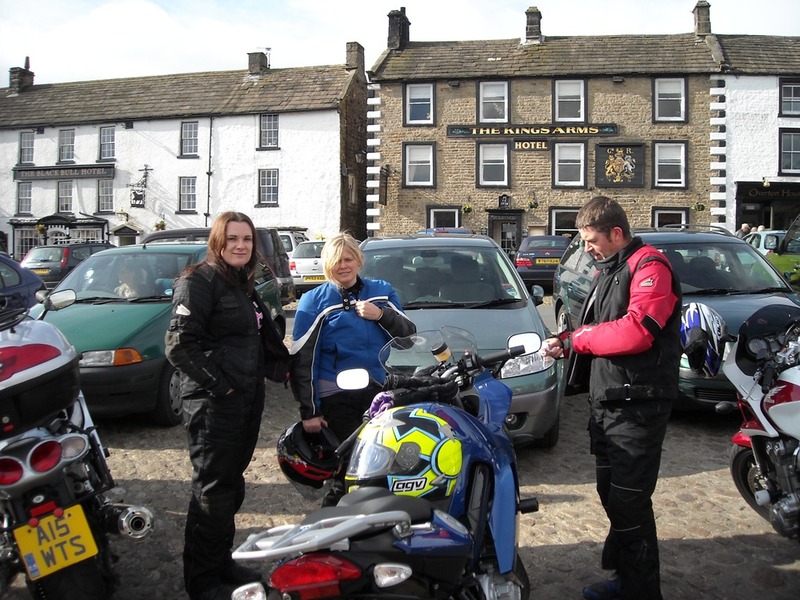 After the brew we mounted up and headed over to Reeth via Masham and Leyburn and landed in Reeth just after 12:00pm. 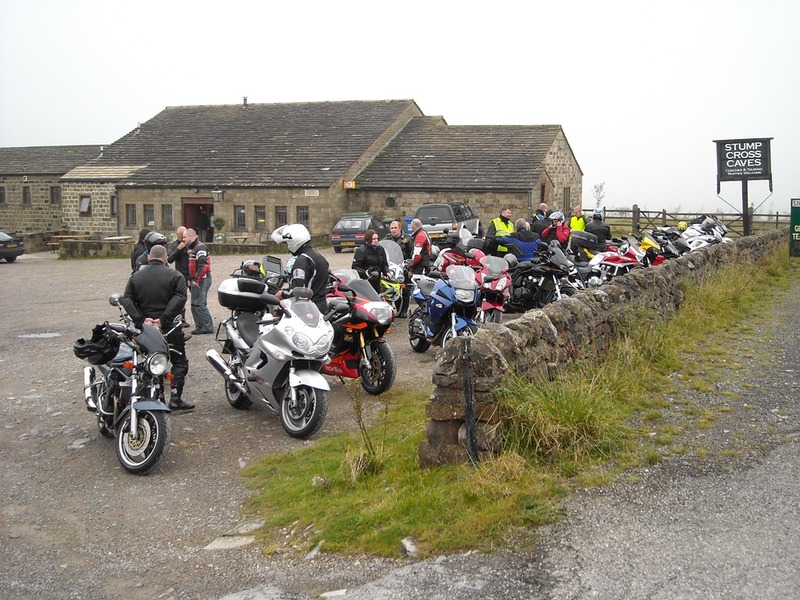 We were the first to arrive, the Northeast lot turned up next and then the Yorkshire group arrived a lot later, with the news that a rider on his Ducati ST4 had gone down on Buttertubs pass. 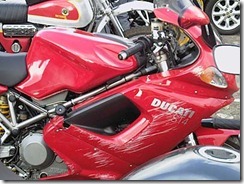 Fortunately he didn't go over the edge and wasn't on his Ducati 999, other than pride he was uninjured. 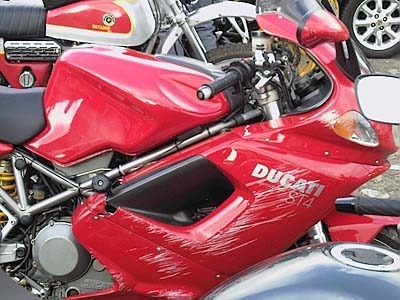 It was an impressive turnout with about 70 bikes in attendance. We left Reeth and headed over to Hawes, some of the guys filled up in Hawes. I headed over to Ingleton via the Ribblehead viaduct and then proceeded on to Devil's Bridge. 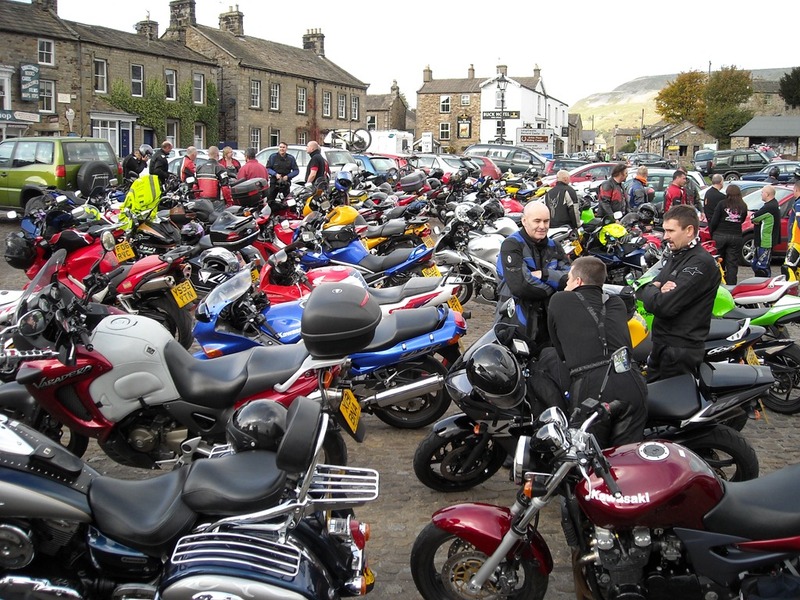 For some reason everyone but CJ turned left at Ribblehead and ended up in Settle, despite having agreed we would be going to Devil's. CJ caught me up at Devil's and we headed down to Caton. Vincent and Marocmille turned up but everyone else had gone home from Settle. I left CJ and headed home via the Trough of Bowland, which I found was closed and followed the Diversion to Clitheroe then went over Sabden and joined the motorway and blasted back home. Another long day of riding, I think I am a glutton for punishment.